Gobbledygeek episode 75, “GobbleCon 2011: Of Records, Ribs, and Rock Band,” is available for listening or download right here. Turkey Day’s early this year! Universes collide, worlds explode, and galaxies collapse as Paul and AJ actually meet face-to-face for the first time ever for GobbleCon 2011! As such, this is one for the faithful: the boys don’t take on any outside topics, just report from the front lines about all the places they’ve visited, all the food they’ve eaten, and all the Rock Band they’ve played. To be fair, there’s also a joint review of Andrew Niccol’s In Time. It’s mostly about food, though. 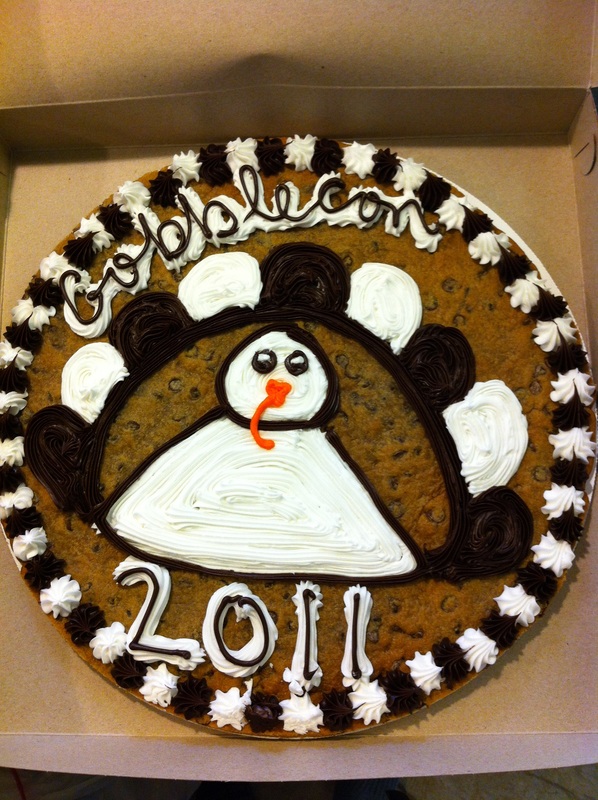 Next: the second annual Gobbledygeek Thanksgiving, which may or may not include some special guests. This entry was posted in Shameless Self-Promotion and tagged andrew niccol, cookie cake, film, food, gobblecon, gobbledygeek, in time, libsyn, movies, music, podcast, records, ribs, rock, rock band, video games. Bookmark the permalink.